At its October media event, Apple announced the release of OS X 10.10 Yosemite later today. Update: Yosemite has shown up on the Mac App Store for download, though some users are having trouble connecting as usual. The world first got a glimpse of Yosemite at WWDC in June. The annual desktop OS update includes a more modern look, new cross-functionality with iOS devices and expanded search capabilities. 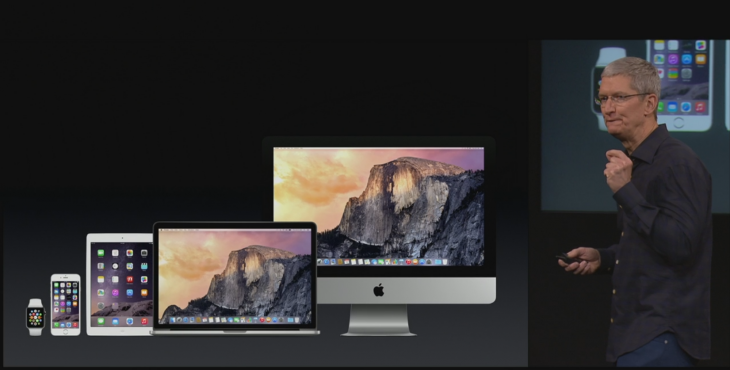 Apple is also touting new iCloud Drive cloud storage features and a major update to its iWork productivity suite. Apple ran a public beta for OS X 10.10 this summer, granting more than 1 million users early access to the update.